Destinations Covered: Colombo, Kandy, Nuwara Eliya, Bentota , Colombo. Highlights: Tea factory, Spice garden, Kandy cultural show, Kandy Temple, Mask museum, Turtle hatchery, Royal Botanical Gardens, Udawattekele, Gangarama, Sri Bhakthi hanuman temple, Sita amman kovil. Arrival at Bandaranayake International Airport, greet and welcome by our tour representatives, transfer to Hotel in Kandy, en-route visit “Pinnawela Elephant orphanage”, & Get a lifetime experience of riding an Elephant (Optional). En-route visit spice garden. Overnight stay in Kandy. The Pinnewala Elephant Orphanage near the Maha Oya River was founded in 1975 with five young elephants. This 25 acres of coconut plantation is currently having around 60 animals of different age, ranging from those born at the facility to some estimated at 40 years old or more. During the day they are led down to the Maha Oya river, around 500 metres away, for bath. This is the highlight, walk of herd down to the river to take bath. It’s amazing to watch the entire herd splashing around and rolling in the river, just a few feet in front of you. And visitors are encouraged to touch the animals under the supervision of a mahouts (elephant trainer). After breakfast leave for Kandy city. Visit one of the most beautiful botanical gardens in the world. Later visit temple of the tooth and boat tour in the Kandy lake. City and shopping tour follows after the boat tour. Afternoon visit Kandyan cultural show. Kandy, in the Central Province if Sri Lanka is the second largest city in the country after Colombo. This is located on a plateau surrounded by lush green hills. This ancient capital of Sri Lanka fell to the British in 1815 after defying the Portuguese and Dutch for three centuries. The town is in the midst of hills surrounded by lush green plantations especially Tea. The town centre is close to Kandy’s picturesque lake and surrounding is attractive with old shops, antique and gemstone specialists, bustling market and everything a tourist centre really required. Kandy is one of the most sacred places of worship in the Buddhist world as it houses The Temple of the Tooth Relic (Sri Dalada Maligawa). Breakfast at hotel and leave for Nuwara Eliya. En-route visit Tea plantation and tea factory. Later in the day visit waterfalls. Temple to visit Sri Hanuman Bhakthi temple. Overnight stay Nuwara Eliya. Nuwara Eliya means “city on the plain (table land)” or “city of light”. The city is attractive with with picturesque landscape and temperate climate, by surrounded by hills and tea plantations, the town of Nuwara Eliya enjoys spring-like weather throughout the year. Even though the town centre is developed like a modern town outskirts still keep the atmosphere of a misplaced British village with English country style houses with hedges, rose gardens and red-roofed & half timbered bungalows. It was a favourite retreat of the British during colonial times and no surprise it’s earned the name “Little England” ! After the breakfast City tour in the most elevated city in the island. After the city tour a sightseeing tour around the city including Gregory lake, race course and Golf course. Temple to visit Sita Amman kovil. Overnight stay Nuwara Eliya. After breakfast proceed to Bentota via Awissawella. En-route visit tea plantations and waterfalls. Check-in the hotel and leisure. Overnight stay in Bentota. Bentota is the prime beach resort of the south-western & southern coastal belts of Sri Lanka is located 64 K.m south of Colombo. And is situated on the southern bank of the Bentota River mouth, at an elevation of 3 metres above the sea level. 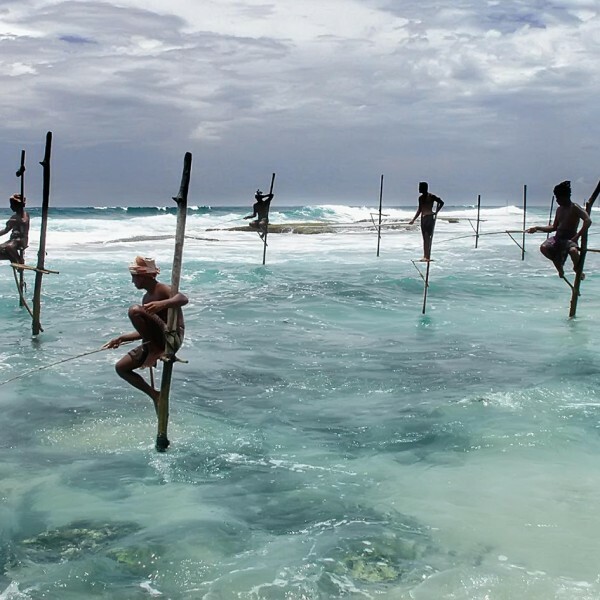 The name Bentota is derived from a mythical story which claims a demon named ‘Bem’ ruled the tota or river bank. The Galapatha Viharaya is one of a cluster of five ancient temples situated in this historical place. Bentota is an ideal attraction for the families looking for relaxed holidays, as calm sea here is enriched with safe swimming conditions in the season (November-April) combined with fun water sport and exciting excursions. Between November to April, Bentota Beach ideal for snorkeling, diving, sailing, wind surfing, water-skiing, and deep-sea fishing on a traditional outrigger canoe. Bentara river flows in to Indian ocean at Bentota forms Betota Lagoon is a offers the widest array of water sports among all the beach resorts of Sri Lanka. 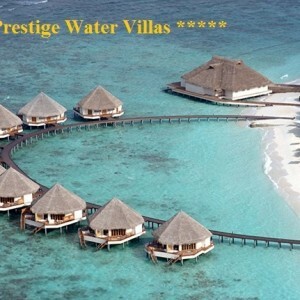 Jet-ski, windsurf, parasail or enjoy a romantic river safari are also possible in this beach resort. Breakfast at hotel and leave for Colombo, En-route Colombo city tour. Overnight stay in Colombo. 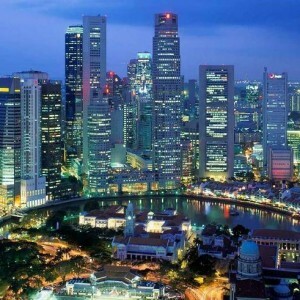 Colombo, the largest city in Sri Lanka is situated in the west coast of the island. And is a busy and vibrant place with a mixture of modern life and colonial buildings. Colombo is the political, economical & cultural capital of Sri Lanka. It is believed that the name “Colombo”, was formed from the Singhalese name Kola-amba-thota (place with leafy mango trees). Again it is said that the name was first introduced by the Portuguese in AD 1505. This overwhelmingly rural country is highly appreciated by visitors because of its colonial heritage, delicious dining, fine shopping opportunities and the dash of urban buzz. There are plenty of cultural and historical attractions in Colombo such as Fort, Cinnamon Gardens etc. The natural harbour of Colombo was known to Indian, Greeks, Persians, Romans, Arabs and Chinese traders over 2,000 years.